Jerko! Jerko! Jerko! 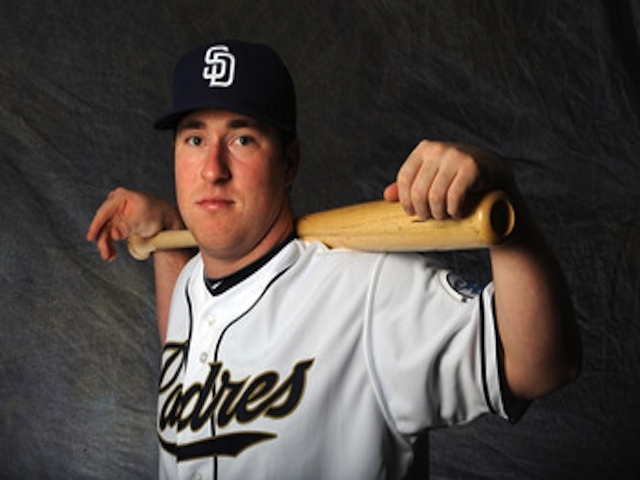 Yes, to the best of my knowledge, that’s how you pronounce Jedd Gyorko’s name. I realized that I haven’t written anything about Jedd yet, so here goes… He’s the next big thing in the Padres minor league system…between Double-A San Antonio and Triple-A Tucson last year, he hit 30 home runs and drove in 100 runs. Not too shabby. I’m hoping he’ll make the big league roster this year. He likes Duck Dynasty, NCIS, and Shawshank Redemption. Must be a good dude, right? That jersey was signed by Jedd for a fan, Josh, at Fan Fest. 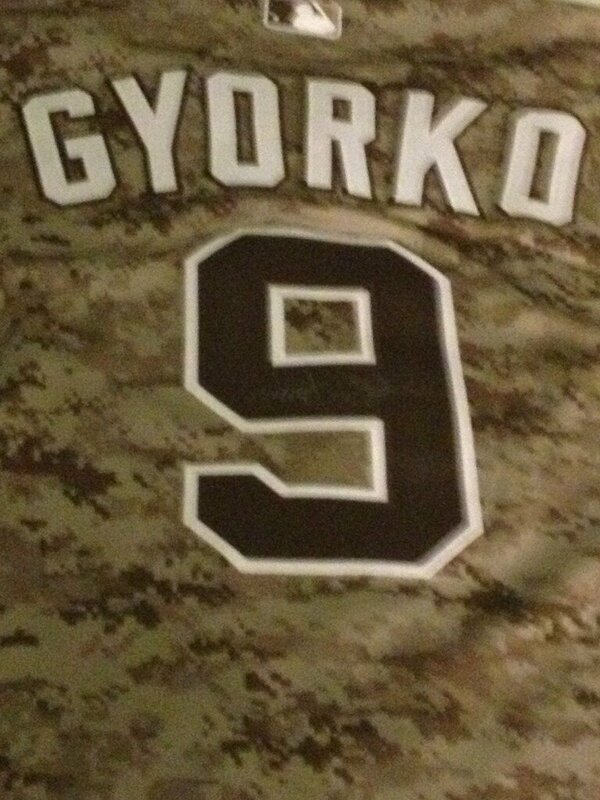 According to Jedd, the fan had a Padres Gyorko MLB camo jersey before he did. Love that. Jedd seems like a good dude. With Headley on lock down at third, (Jedd’s natural position) the Padres have moved Jedd to second base to give him the fast track to the Bigs. Now he just has to beat out Logan Forsythe for the position. You can follow Jedd on twitter here. Expect that follower count to rise quickly as he continues to rake in Spring Training. This entry was posted in Baseball, MLB and tagged jedd gyorko, jedd jerko, Padres. Bookmark the permalink.